Wool and the Gang are a fashion brand powered by the maker movement. 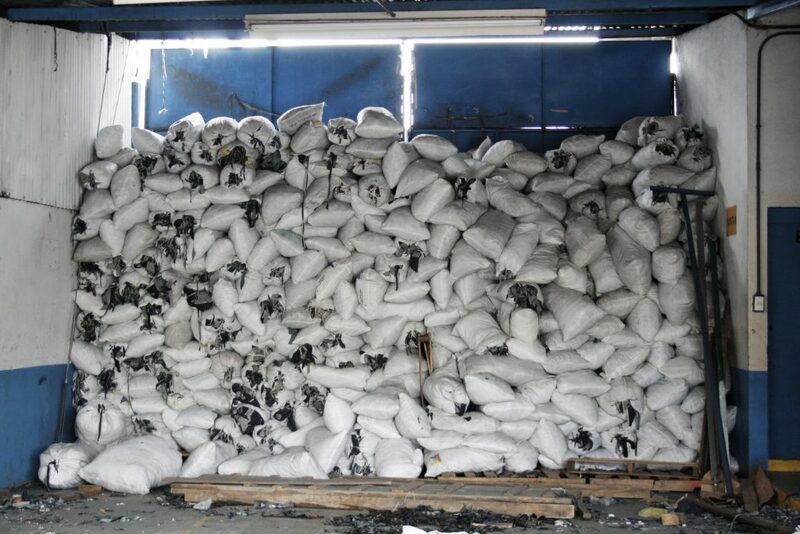 Their yarns, tools and kits have all been sourced with consideration to reduce the impact on our environment. In the past Wool and the Gang have collaborated with Giles Deacon for his London Fashion Week show, the British Fashion Council and Vivienne Westwood’s Climate Revolution along with countless makers across the globe. We caught up with co-Founder and Art Director Jade Harwood to find out more about this unique, environmentally conscious brand. What is your background and why did you set up WOOL AND THE GANG? I'm knit nerd at heart. I learnt to knit by my Grandma at 7 and then went on to study Textiles Design at Central Saint Martins where I met my buddy Aurelie Popper. We both worked at Balmain together between summers. When we finished uni we joined forces with Lisa Sabrier to start WATG. We wanted to create something really special with soul and bring people together. We set out to inspire everyone to get knitting, we did this by making knitting fast and easy to do with cool patterns and online video tutorials. Since we started 8 years ago we now have a team of 16 people at WATG HQ and a global community getting their knit on! How does the WATG knitting revolution work and where are your makers based? The WATG knitting revolution is our way to get people to think about fashion a little bit differently. We want to inspire people to make quality, unique pieces in a sustainable way. By focusing on our designs and carefully choosing our yarn suppliers, we’re able to offer pieces that can be made with love without such a big impact to the environment. Our community of makers is based all across the USA and Europe and even host parties and events to encourage people to join the revolution! Why has it been important for WATG to build a big social community online? Our social community has been a great way for us to connect with our makers all over the world. We love seeing posts on Instagram of the completed projects or the works in progress. It’s a great way to showcase creativity and bring together knitters and crocheters from all over! How do you work to reduce the environmental impact of WATG and why is sustainability important to you? Approaching and consuming fashion sustainably across the world is very important to us, and has been since the very beginning! Our latest yarn ‘Bille Jean’ is a great example of this, which we are very proud of! 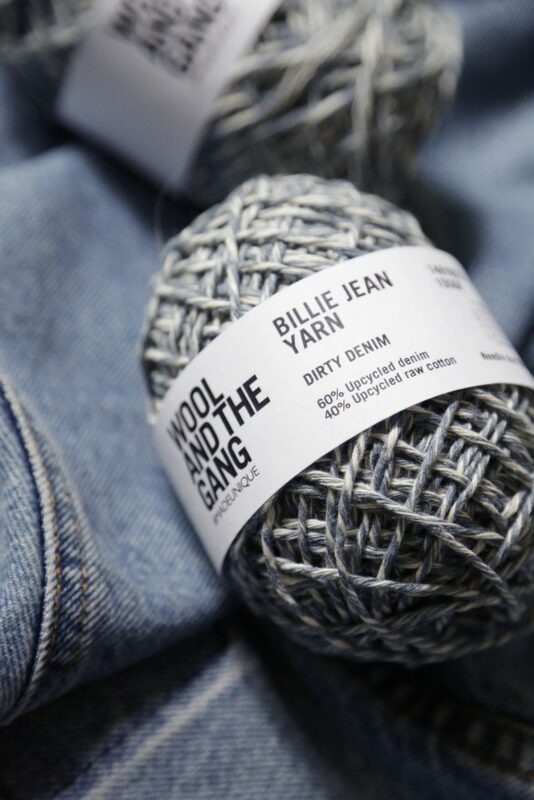 The yarn is made using upcycled pre-consumer denim waste. The waste is then grounded back into fibre and woven into our new Billie Jean Yarn. By using no chemicals and no dyes, we manage to save 20,000 litres of water per kilogram of upcycled material, which is a huge amount! People might think that wool is just for winter, how have you challenged this with your products? While we love our chunky wools, our Shiny Happy Cotton and Billie Jean Yarn are our favourite yarns for the warmer months. We’ve also designed summer kits specifically for knitting and crocheting with these yarns. Our goal is to be making all year round! Crochet or Knitting, do you have a favourite and why? Well I've been knitting since I was 7 and I still can't get enough of it. I've only recently mastered crochet. Anyone learning to crochet should try our Carrie on Tote, I know this is a biased recommendation but the crochet tote bag is so great for learning the basic of crochet. Which is your favourite WATG yarn to work with? Recently, I’ve been working with our Billie Jean Yarn a lot. The unique texture and colour of the yarn has made some really great pieces! We have a number of exciting collaborations coming up which we can’t wait to share with you! Keep your eyes peeled on our social media channels in the next couple of weeks to be the first to find out! If you could pick one kit for our customers to try which one would it be and why? I love our hold tight clutch because it’s a year round product that can be made in many different colours. It uses our Jersey Be Good Yarn that is made from fabric roll off-cuts from factories in Turkey. Since this fabric would normally end up in a landfill it’s a great way to up-cycle into a unique product. Do you have any advice for people who would like to start knitting? Start with an easy knit such as a scarf or a snood and use a chunky yarn. We have a bunch of tutorials on our site to get you started and even have some for when you’re stuck!